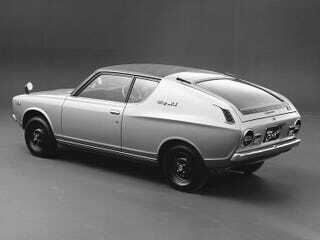 I saw one of these (the Datsun “Cherry” coupe, first gen 70-74) in a car book and was intrigued. So I checked just now, and it seems there may not be any for sale... in the world. Okay, that’s overstating things a bit - I saw where one a little while ago popped up in Portugal. But - for an affordable economy car, this one appears to have nearly completely vanished, and that’s a shame.